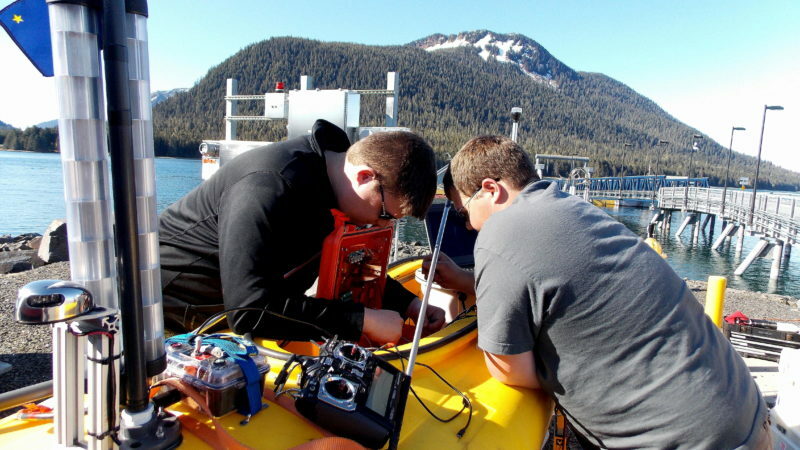 LeConte Glacier near Petersburg has been the focus of a lot of research lately. It’s the southern-most tide water glacier in the northern hemisphere and scientists have been studying it to give them a better idea of glacial retreat and sea level rise around the world. There is a lot more planned for this May. But to get close to the glacier, which is constantly calving, a team of scientists is relying on unmanned, remote controlled kayaks. On the flat gravel surface of Petersburg’s drive down dock, two bright yellow plastic kayaks are propped up on makeshift tables. These kayaks don’t look like ones you see around here. They’re shorter and wider and they have a bunch of equipment attached to them. They also have a science-y name, “Robotic Oceanographic Surface Sampler”, or ROSS for short. 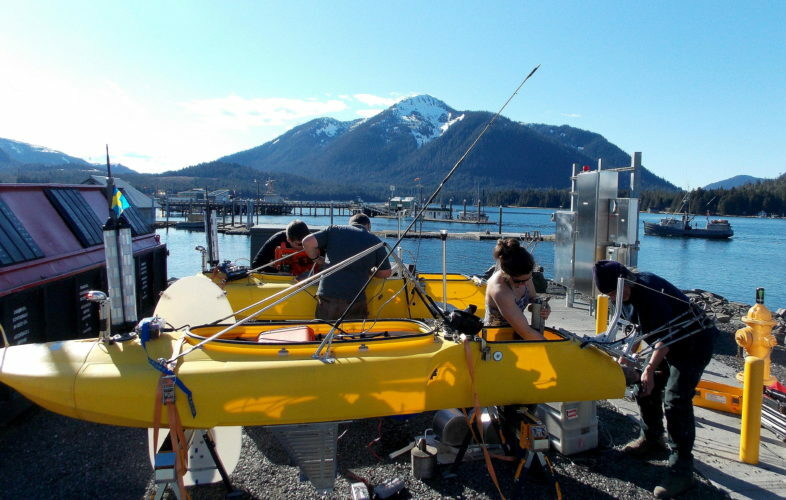 But these kayaks have been completely tweaked by Marion and an ocean robotics team from Oregon State University. Five of those scientists are working here today. They control the kayaks by laptop computer up to a few miles away. 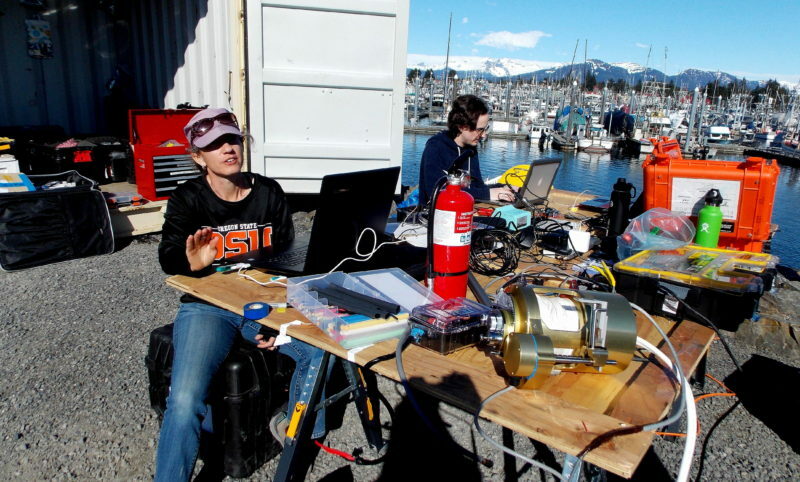 The boats are customized with a keel, antennas, lights and boxes of computer chips and wires. Nick McComb said they call it their electronics box.